Aluminum prices soar to a seven-year high on Wednesday. Aluminum prices have rallied about 20% since sanctions were announced. Aluminum prices have skyrocketed this week amid an uncertain supply future for the industrial metal. London-listed aluminum futures traded as high as $2,435 per metric ton in early morning action on Wednesday, April 18, to reach a high not seen since 2011. Prices haven't crossed the $2,400 mark since September of that year. The price rally to seven-year highs has been driven by supply concerns following U.S.-issued sanctions announced this month. The U.S. issued sanctions on Russia that affected aluminum producer United Co. Rusal. The company, which produces about 6% of the world's aluminum, operates a wide network of mines, refineries and smelters across the globe. Since the sanctions were enacted, aluminum prices have rallied about 20%. The sanctions essentially box Rusal out of the $140 billion global aluminum industry by making it impossible for the company to do business in U.S. dollars, which are the go-to currency in most commodities markets. Rusal is the world's second-largest aluminum producer and retains a number of partners across the globe. One such partner is Australian-British miner Rio Tinto PLC (RIO , which said it may have to make adjustments to its 2018 aluminum output projections following the Rusal sanctions. Rio Tinto declared force majeure on some customer contracts in response to the Rusal sanctions and is reviewing the 20% stake Rusal holds in its Queensland Alumina refinery. Rio Tinto said in a statement last week it is "fully committed to complying with the U.S. sanctions." The sanctions from the U.S. were enacted in early April as penalties against a number of Russian oligarchs and their business practices. Rusal is owned by billionaire Oleg Deripaska, a key figure among the Russian elite at which the sanctions took aim. "Russian oligarchs and elites who profit from this corrupt system will no longer be insulated from the consequences of their government's destabilizing activities," U.S. Treasury Secretary Steven Mnuchin said in announcing the sanctions. "Deripaska has said that he does not separate himself from the Russian state. He has also acknowledged possessing a Russian diplomatic passport and claims to have represented the Russian government in other countries. Deripaska has been investigated for money laundering and has been accused of threatening the lives of business rivals, illegally wiretapping a government official, and taking part in extortion and racketeering. There are also allegations that Deripaska bribed a government official, ordered the murder of a businessman, and had links to a Russian organized crime group," the U.S. Treasury said in the sanction announcement. Rusal, which is the largest aluminum supplier outside China, reported $9.97 billion in revenue in 2017, up 24.9% from a year earlier. It delivered 3.7 million tons of aluminum that year at an average sales price of $2,105 per ton. The trouble with Rusal goes beyond just Russia or the firm's partners, though, as about two-thirds of Rusal's refinery capacity is located outside of Russia. That means it has a hand in myriad global markets and their supply chains, from Ireland to Jamaica. Adding to supply tightness concerns, Norsk Hydro ASA (NHYDY had previously cut the output at its Alunorte refinery in Brazil, which is the biggest in the world. Norway's Norsk Hydro was forced to shutter half the production at the refinery following a judicial order last month alleging a toxic leak at the plant. What's more, the enormous price upswing might not be over yet. 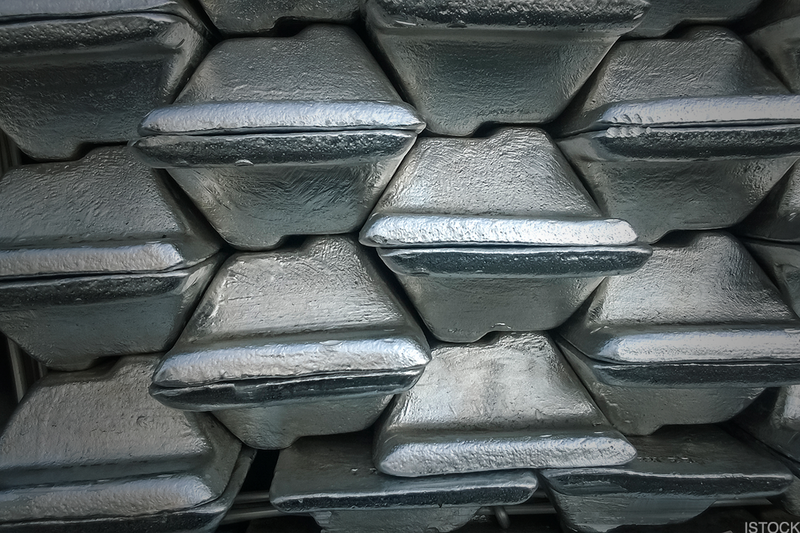 Analysts at Goldman Sachs said aluminum prices could go as high as $3,000 per metric ton in the near term, according to a note obtained by Bloomberg. "The uncertainty associated with out forecasts is great," Goldman analysts said. "In the event that resolutions are not found quickly enough, prices are likely to exceed our forecasts."